It's a strange and mind-boggling experience of being culturally isolated and socially marginal in a beautiful place that pretends to welcome everyone and everything. Laura has a BA in psychology and an MA and PhD in Counseling Psychology. When not at work as the Director of Residential and Community Life at the Center for Agroecology and Sustainable Food Systems (CASFS) at UC Santa Cruz, or spending time with family, Laura can be found with her laptop working on her small private practice. She teaches workshops and meditation and does mental health healing work, specifically with the Black community. It's a strange and mind-boggling experience of being culturally isolated and socially marginal in a beautiful place that pretends to welcome everyone and everything. It's crazy-making. It's being highly visible, yet never really seen or heard, and yet somehow still viewed as a threat. It's wanting to be open and in awe of this gorgeous natural environment but having to be guarded because the people here will kill your spirit without even trying. It's having access to fresh air but still suffocating under a really beautifully woven blanket of white supremacy. 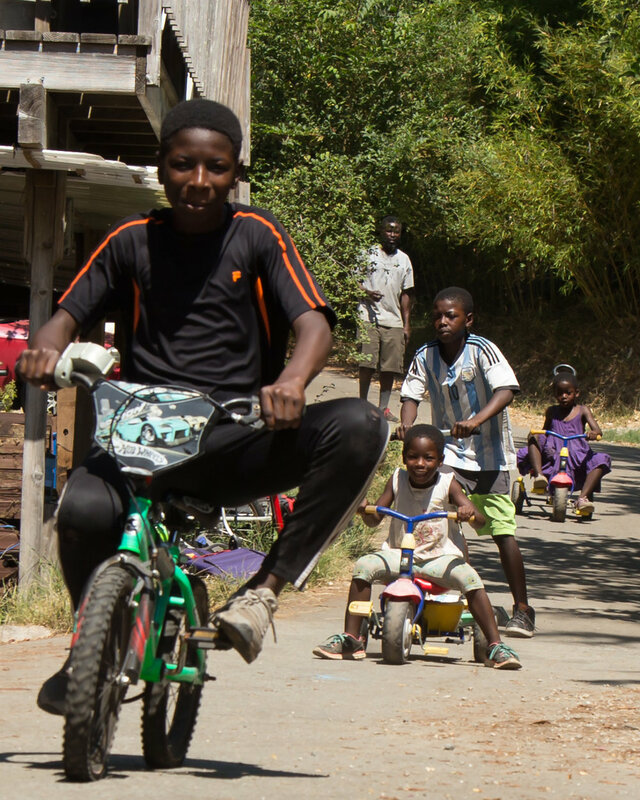 Laura's children enjoy an impromptu downhill bicycle race. Laura's husband AJ and one of their daughters make another trek up the hill for the bicycle/tricycle race. It means that life matters. That living beings should be honored as sacred and not destroyed or discarded easily. That humanity has value. And that people of direct and recent African descent, despite what we've all been subtly made to believe, are human. Black people are not any less human than any other group of people. So to kill us, or to make our lives miserable, is just as wrong as it would be to kill or terrorize any other group of people. Black Lives Matter means that our society's laws, policies, political practices, and legal processes should reflect this basic truth. 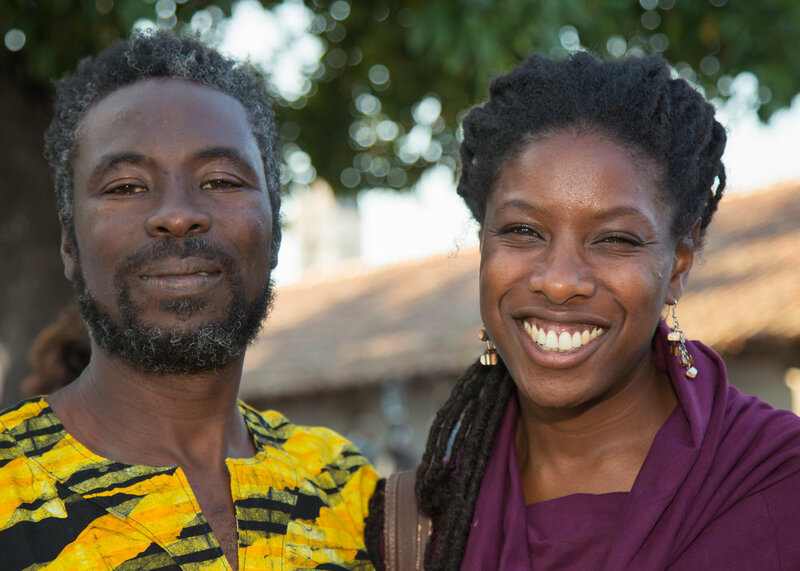 Laura met her husband AJ, who came to the U.S. from Ghana as a teenager, when they were students at Bowling Green Universty.